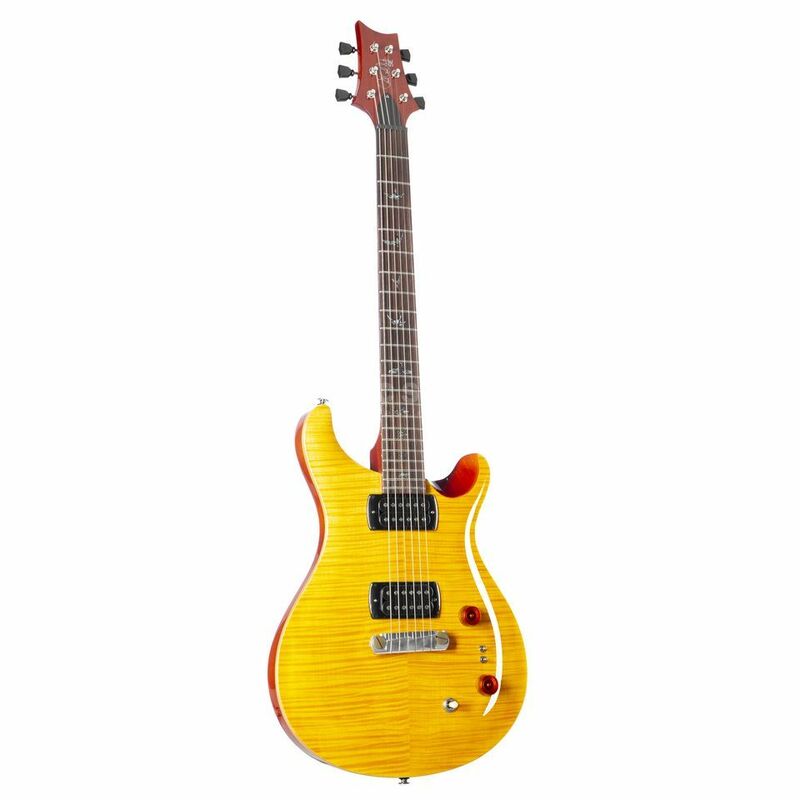 The PRS SE Paul's Guitar (Amber) is unique in the SE series in respect to Paul Reed Smith applying a number of personal preferences to the instrument. The diverse tones available are facilitated by 2x TCI “S” Treble and Bass pick-ups, which produce distinctive vintage sounds, and the selection of tone woods used in the guitars’ construction, namely a Mahogany neck and carved Maple top. Furthermore, the pick-ups can be engaged in either humbucking or true single-coil modes, lending the SE Paul’s Guitar even more sonic options. Finally the Nickel hardware and wrap-around bridge with brass inserts solidifies the classic looks associated with PRS instruments. “The SE Paul’s Guitar is a great example of design, engineering, and teamwork. It’s as close to home as we could get inside of the SE Series, and I am very proud of it.” - Paul Reed Smith.